Never before have soccer fans in the United States been given so much access to live soccer on television and the Internet. 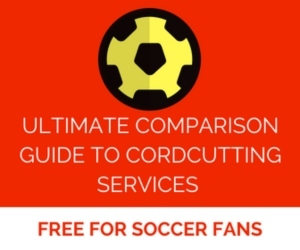 On average each week, there are more than 70 professional soccer games beamed across the United States, but navigating through the options to find them can be an overwhelming task if you don’t know where to go. In fact, it’s far easier to find illegal streams of games than it is legal ones, which is why we’re here to make it easier for you to find legal options to watch games. No malware. No pop-up ads. No piracy. Instead, you get information on how to watch games legally without a keylogger stealing your passwords and bank details. For the past 10 years, World Soccer Talk has been reporting on all of the legal methods of watching the beautiful game. 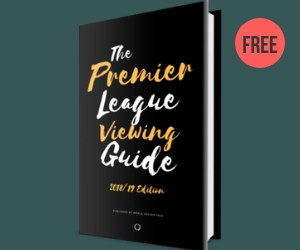 Through our research and interviews with executives at the different sports networks, we’ve compiled the most comprehensive guide to provide soccer fans with all of the information they need to watch their favorite team, league and sport. 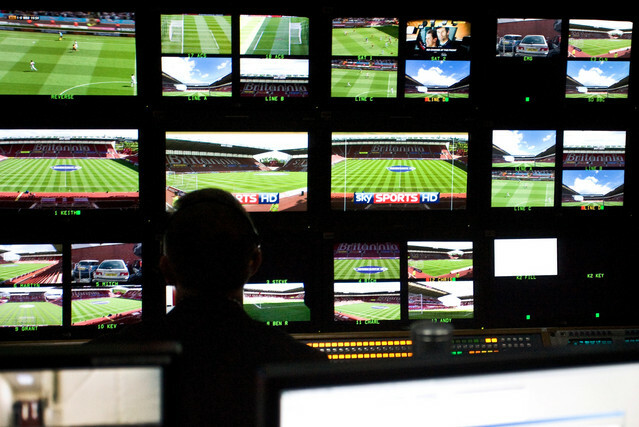 SEE MORE: Illegal soccer streams are ‘dangerous’, study says. Thank you for the guide. Those of us in the U.S. now have the ability to jump between leagues with the tap of the button on the remote. There is something very pelasurable about jumping back and forth between the EPL games and the German league on Fox. A far cry from he days of hunting for Internet streams to watch any game at all. Thanks for the comprehensive guide. Now I’m just waiting for the day when the EPL is available online without subscribing to TV so I can cut the cable cord and go fully online. It’s going to be a long wait unfortunately. NBC Sports’ parent company is Comcast. Hi William, sorry, we specialize in TV information and listings for US only. I like how you point out that illegal streams can be dangerous to your privacy, so it’s important to stream soccer legally. I love soccer, so I agree with your statement that it’s important to make sure the games I watch are legal. I have even heard of subscription services that don’t cost very much, but provide access to multiple soccer leagues everyday. Chris, I think that US viewers can watch more soccer on “regular TV” (cable or satellite) then people in England, France, Spain, Italy or Germany. As much as I know, they have to pay additional fees to watch not just top European games but also domestic league. Do you have any information about this issue? Yes, that’s correct. Viewers in Europe have far fewer games available to choose from to watch on TV. And it costs them more money to watch less soccer. I’m a Revs supporter who lives 250 miles away from Foxborough, Mass.–in northern Vermont, to be precise. I was a happy MLS Live subscriber in years past. I understand the reason for a blackout policy and never complained, because while I technically live in the New England region (although nearly four hours away from Gillette by car), I could count on being able to see Revs games on MLS Live if a) they were playing on the road, and b) the match was not being carried live on one of the national networks (which Revs games rarely are). So when MLS Live got consumed by the Disney tsunami and landed on ESPN+ I dutifully signed up for a subscription–a subscription I will now be canceling when the free-trial period is over. I could not understand why tomorrow’s game against Cbus showed in my ESPN+ account as blacked out when the game is being played in Ohio and not being broadcast on a national network. Well, I was just told by a customer-service person at ESPN+ that on their service I will be blacked out of EVERY Revs game, regardless of where they are playing or who’s carrying the live broadcast. And I will not be able to watch any Revs game even as a replay until 48 hours after the game has been played. Needless to say, this policy is completely absurd. I do not have a cable TV service, and was perfectly willing to pay $5/month for ESPN+ provided things were run in a reasonable fashion, like they used to be on MLS Live. But this blackout policy is bull****. The league and ESPN+ have made a horrible mistake setting the service up like this. I’m not paying a dime to watch a soccer match I can’t see until 48 hours after it’s been played. .